Cell Maps are comprehensive schematics of the genetic and physical interactions among genes and their products (primarily proteins) in any cell and help us understand how these interactions are impacted by alterations in the genes. All cell maps generated by this initiative will be expressed as networks and distributed via the Network Data Exchange (NDEx) Project. 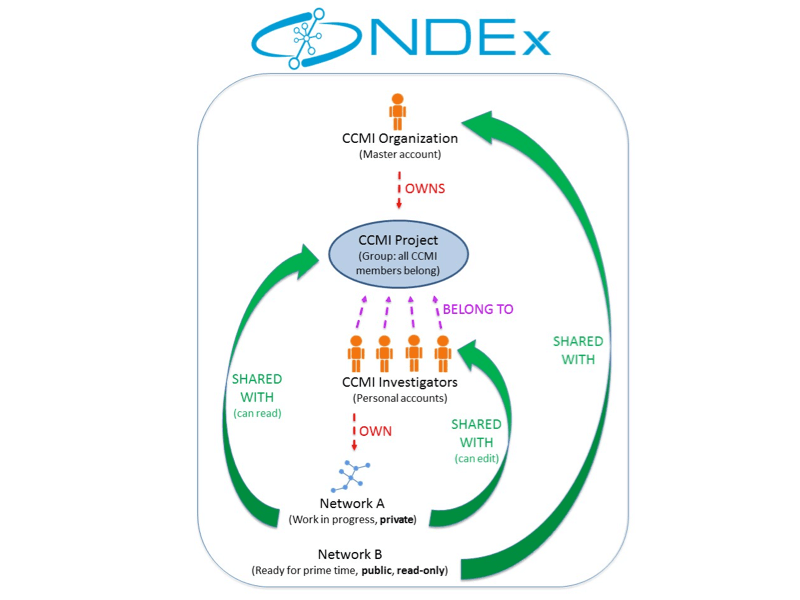 The NDEx Project will not only be the primary distribution channel for cancer cell maps but also play a pivotal role during their assembly by allowing CCMI investigators to interact and collaborate on shared data sets. The purpose of this FAQ is to provide a quick reference guide for researchers involved in any Cell Maps Initiative thus facilitating access to data, interaction and collaboration within the Network Data Exchange (NDEx) infrastructure. 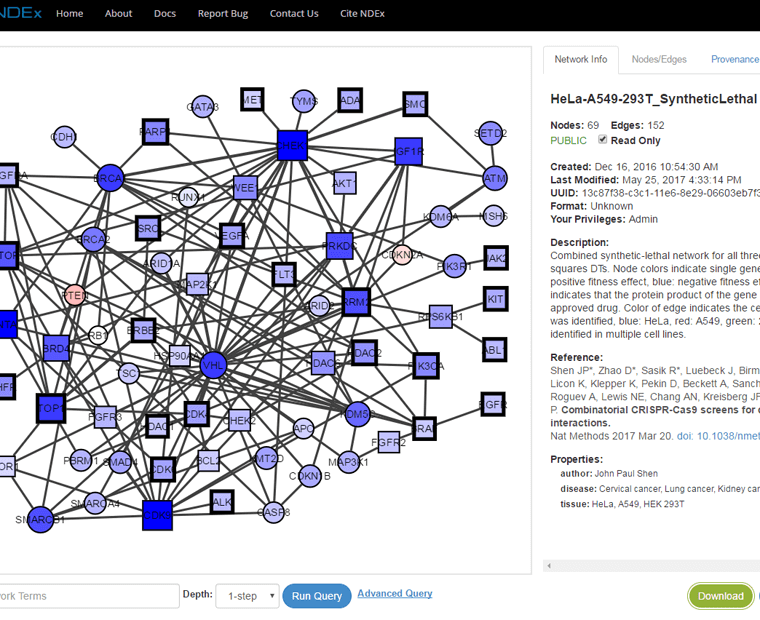 This FAQ can also be used as reference by anyone interested in creating a collaborative project focused on generating networks from different types of data.